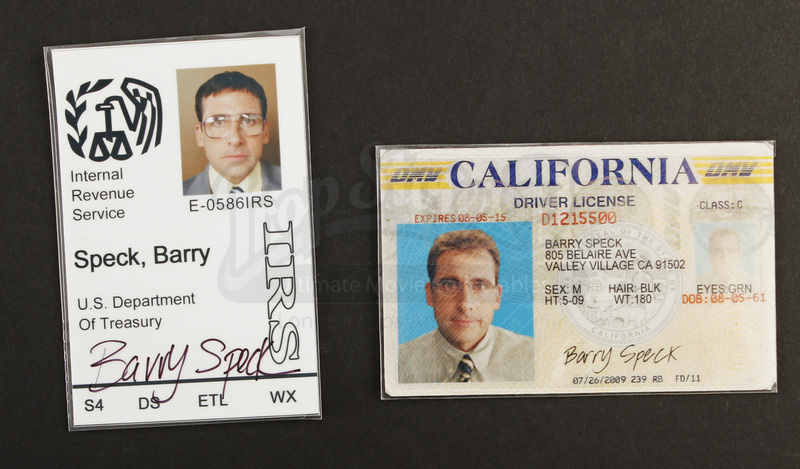 Barry's (Steve Carell) Wallet and ID's from Jay Roach’s 2010 idiot buddy comedy, Dinner for Schmucks. 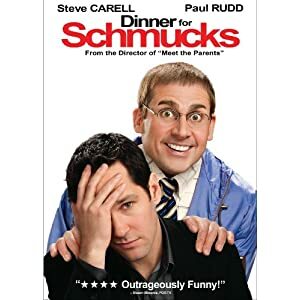 In the film, a chance meeting between rising executive Tim (Paul Rudd) and mouse taxidermist Barry gives Tim the perfect guest to exploit at his boss’s annual gathering of depraved idiots. 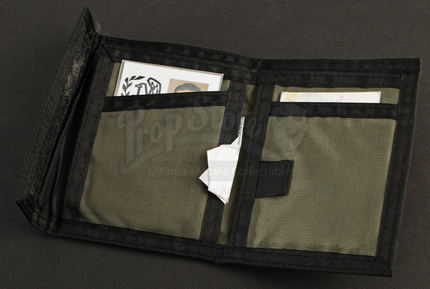 Although this item was not seen in the final cut of the film, this prop was crafted for use by Barry as a personal hand prop. 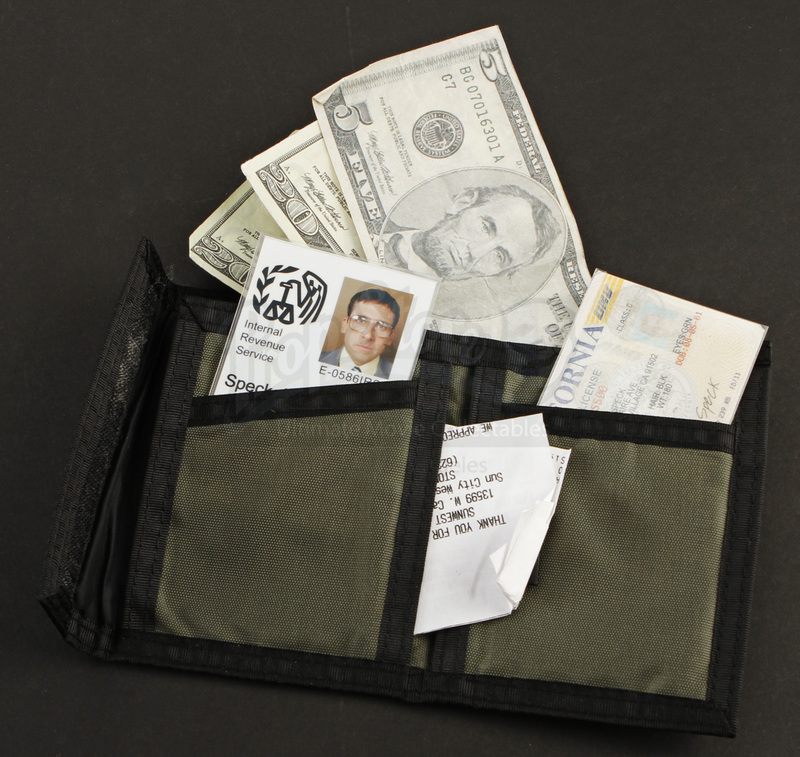 This nylon wallet includes Barry's California drivers license, his IRS staff ID, fake paper money, and a wad of receipts. 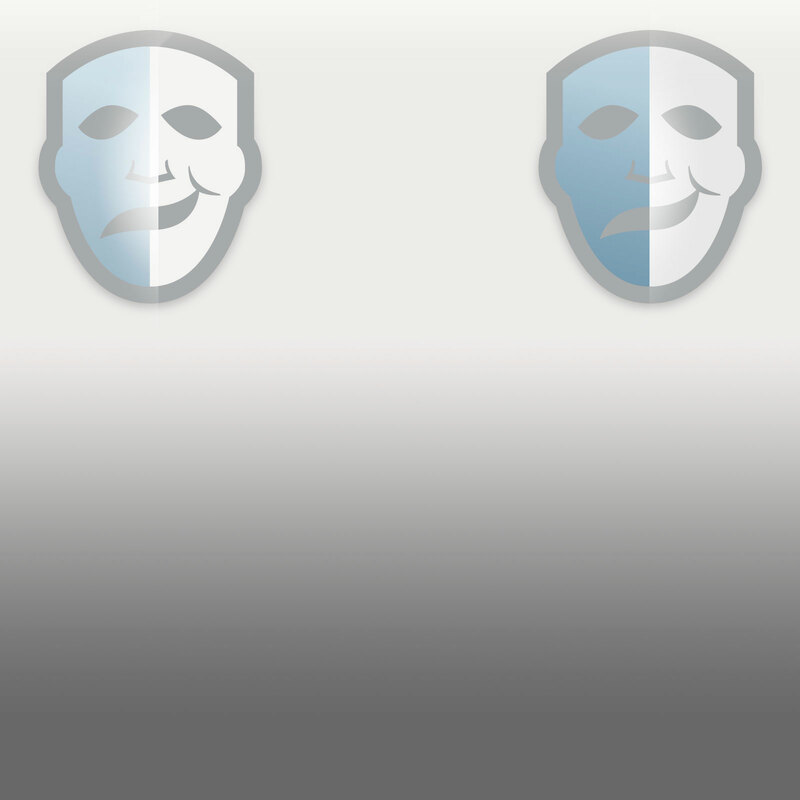 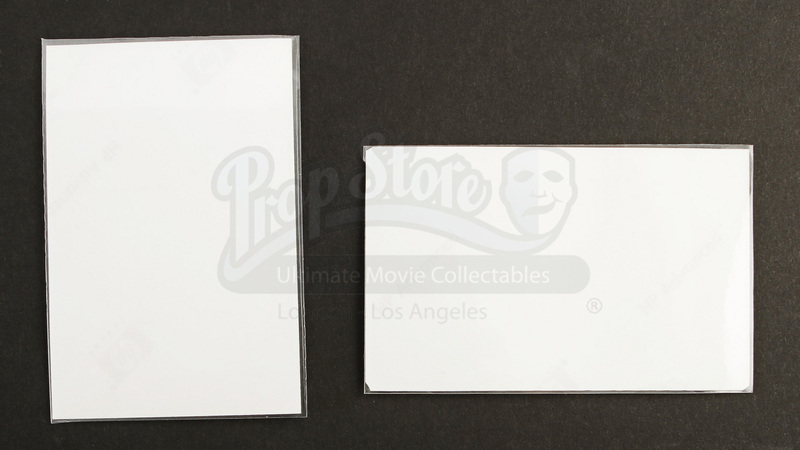 Both ID's have been printed on HP photo paper and laminated. 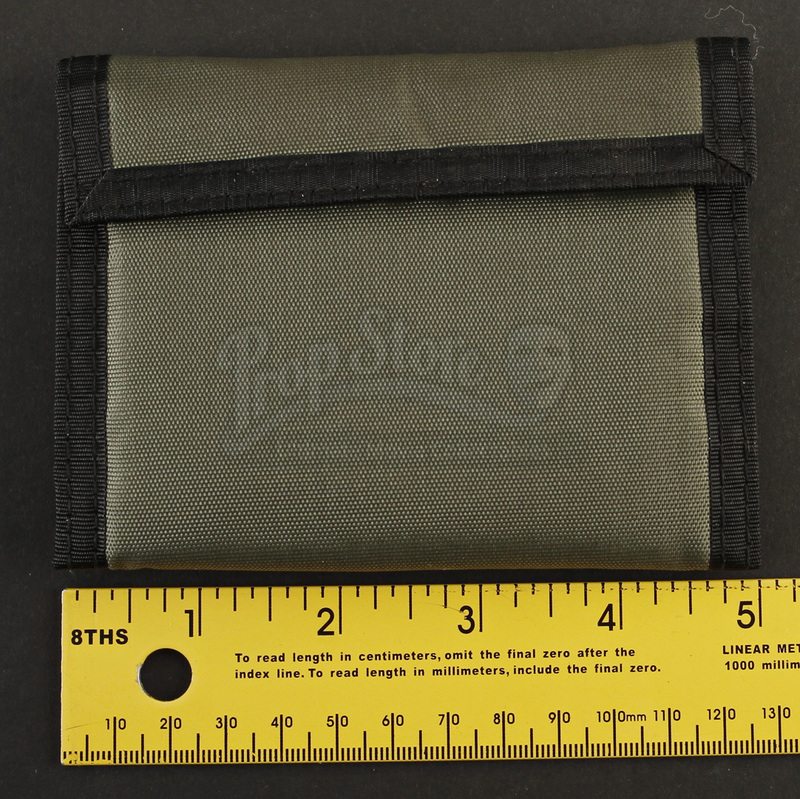 These items reside within the wallet, which measures approximately 5" x 3.5" (13cm x 9cm) and remain in good production used condition.